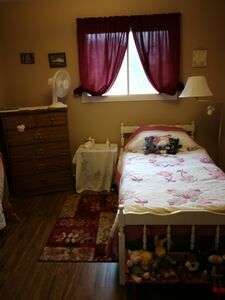 160 Nordic Crescent, Lower Sackville (MLS® 201907637): So clean and tidy and well cared for, pride in ownership here with this 3 bdrm semi within short walk to all school levels, and french immersion, bus stop, recreation. Renovated kitchen, New furnace 2006, New fibreglass oil tank 2011, new breaker panel 2018. Finished Rec room downstairs, Includes appliances, Shed, paved driveway. Nice patio deck overlooking treed backyard, you'll love a sunny evening barbecue out here. All on a level lot in desirable neighborhood, just waiting for a young family to get started here. Listing Courtesy of Steve Ingram Realty Ltd.